Julian was born in England and is the youngest of seven. He grew up as a missionary kid in Austria and returned to the UK in 1998. He is a trained in interior design and cabinet making. He has worked as a building site manager, and on a farm with livestock. 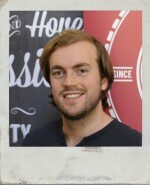 Having become a Christian at the age of 12, Julian felt a strong calling on his life to enter full time Christian work. This led him to join London City Mission in 2002. Moving south, Julian headed up a homeless project, before starting work with the City Mission in August 2014. Julian is married with one child. He loves the countryside and dabbles with a few extreme sports. 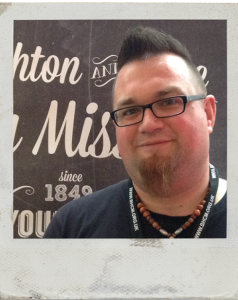 Julian is driven by a strong desire to see quality evangelism delivered in an excellent way. 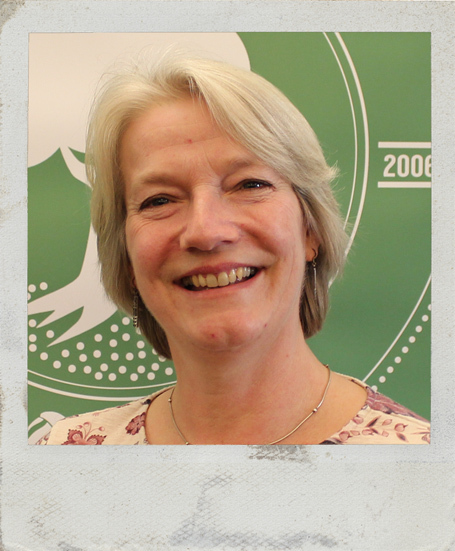 Becky joined the City Mission in August 2014 in a part-time role, that soon became a full-time role in December 2014. 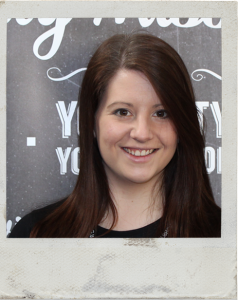 Her role involves managing the office, dealing with our accounts, organising our events, and much, much more! 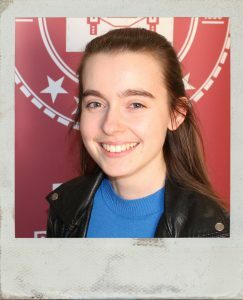 As well as the world of administration, Becky enjoys baking, and all aspects of performing and is currently taking courses in improvised comedy. Becky is happily married to Lloyd (read about him below). Grant grew up in South Africa, before moving to England in 2001. He completed my Diploma in Civil Engineering and worked in the Engineering field for 20 years, both in South Africa and England. Having sensed a time for change, I then worked in finance for a local charity for over 12 years until January 2019, before taking up the role with the City Mission.He is married to Shaleen and we have 2 cats, Mack and Kimi, and enjoys all sports, especially rugby and cricket, and is an avid supporter of the Harlequins rugby team. Lloyd started working for the City Mission in March 2014, after a successful Christmas assembly tour where he played a Christmas tree! He was appointed to co-ordinate drama based lunch-time clubs, however, as the City Mission has grown, so has Lloyd’s responsibilities. He now runs Media and Communications, and leads our Schools team, where he leads a team of two team members. Lloyd enjoys performing and watching sport, especially his local team Brighton and Hove Albion. Nairne was born and grew up in Sussex. She lives just outside of Eastbourne. Nairne studied drama and music at A-Level. She loves music and is a very gifted musician with the ability to play many different musical instruments. She has even written her own songs that have been performed, as part of a musical, in local schools. She is passionate about worship and is a worship leader in her church and at other Christian events. She loves drawing people into the presence of God. 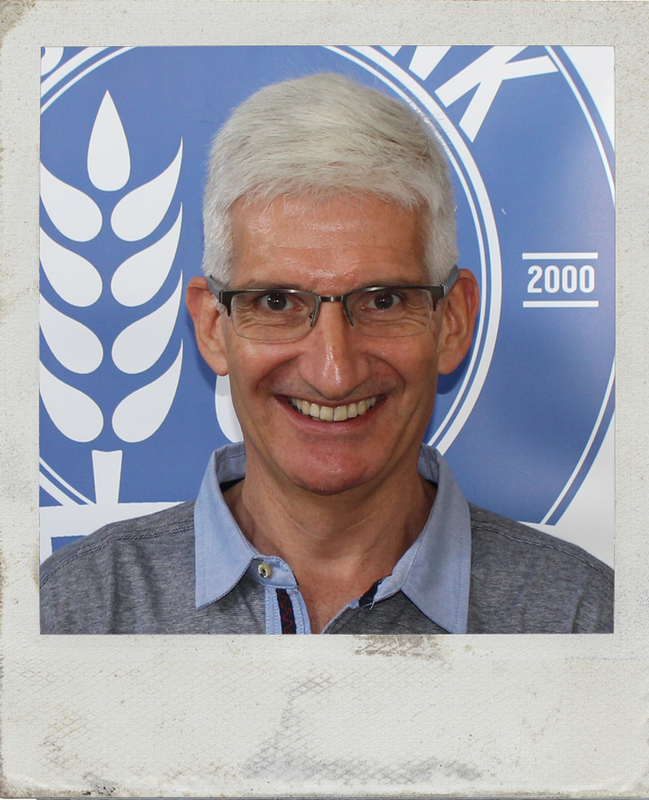 Mike has spent over 20 years in the hotel and hospitality industry working in various hotel groups at director level. His roles have included property construction and refurbishment, procurement, and administration. Over the last 2 years, Mike has set up his own consultancy to co – ordinate the disposal of hotels. He is a very active member of Cuckfield Baptist church, having been baptised in Jan 2016, he is married with 2 children and are known by where they live for their Christmas charity lights. Mike currently enjoys playing squash, swimming, and watching most sports, especially his favourite team Arsenal. He also loves being outside where he can admire the countryside, wildlife, and flowers. Mike joined the City Mission in June 2018 and believes that this career change and working in a loving Christian environment is part of God’s wonderful plan for him. He feels passionate about using this opportunity to really help those in need in Brighton. While living in Dorset, Tony was involved with the management of a large food bank, where parcels were collected by agency workers on behalf of their clients. 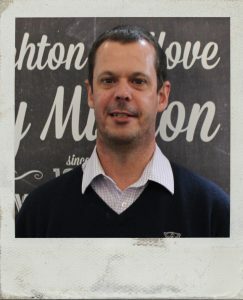 In February 2014, sometime after moving to Sussex, Tony joined the City Mission Food Bank team where the difference is the additional aspect of actually meeting the clients. With a desire to see clients progressing to better things’, Tony now has opportunities to interview, share faith and pray for/with them. 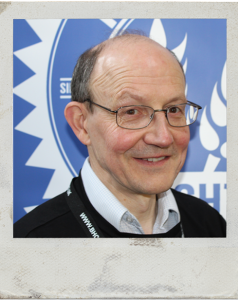 His other role with the team includes maintenance of the Food Bank stock levels through direct purchases and/or collected donations from supporting churches and organisations. Hannah has enjoyed many different and varied roles over the years. She began her career at the airport, working as cabin crew, and then went on to manage one of the UK’s leading hair salons and run her own beauty business for several years. She has three young boys who keep her pretty busy at home, so a day in the fast paced food bank is something that comes naturally to Hannah. 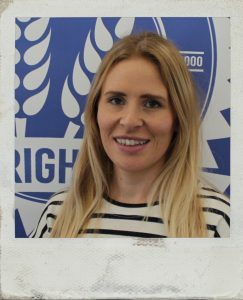 God has given Hannah a passion for helping those in need and being part of the Brighton Food Bank team allows Hannah to break away from family life and meet, pray, and listen to our clients. Hannah has a love of business and is excited to add new ideas and watch as the Food Bank grows! Beverley has lived in Brighton most of her life. She is married with two adult daughters. She has worked in various occupations, book selling, teaching and recently she has worked with older people in sheltered housing. Since starting at the Mission in January she has enjoyed visiting rest homes and care homes in the area and has found sharing the Good News and worshiping with the residents a privilege and a joy. She enjoys reading, cooking, walking and works an allotment.